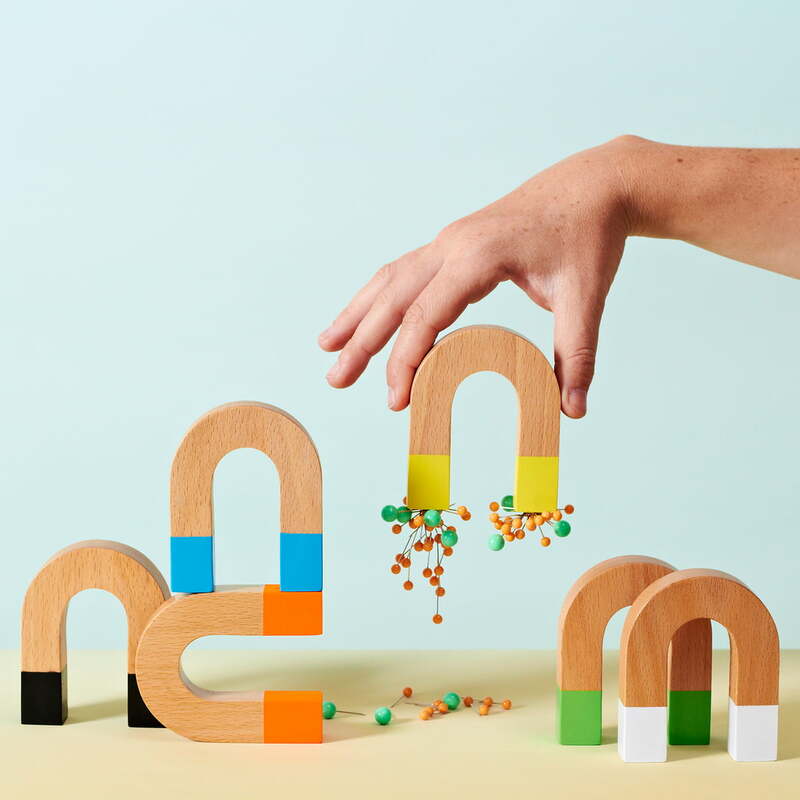 Whether in the office, at the homely desk or in the kitchen - the powerful horseshoe magnet by areaware works equally great wherever it is used. It fixes important documents at your magnetic pin board, shopping lists at the fridge and dishtowels at every metallic surface, for example. Jonas Damon, which has a design office in New York since 2001, designed this practical everyday helper, choosing the classic shape of a horseshoe on purpose: A horseshoe is a symbol of luck and fertility. 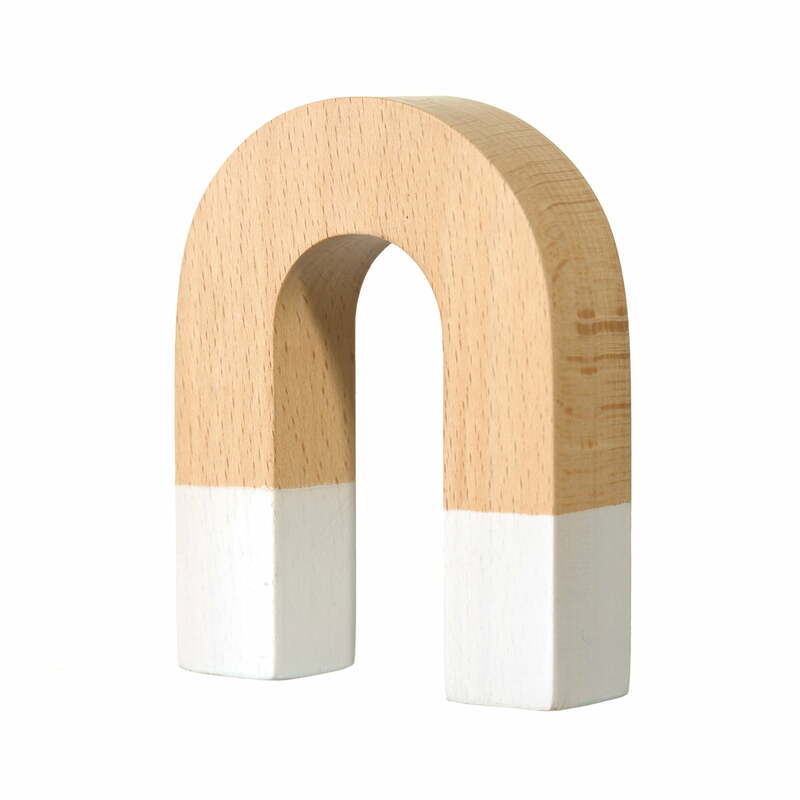 Moreover the shape is practical, because the magnet is twice as strong as a rod magnet. The horseshoe is also pleasant to be held and it serves as hook for towels and kitchen textiles. 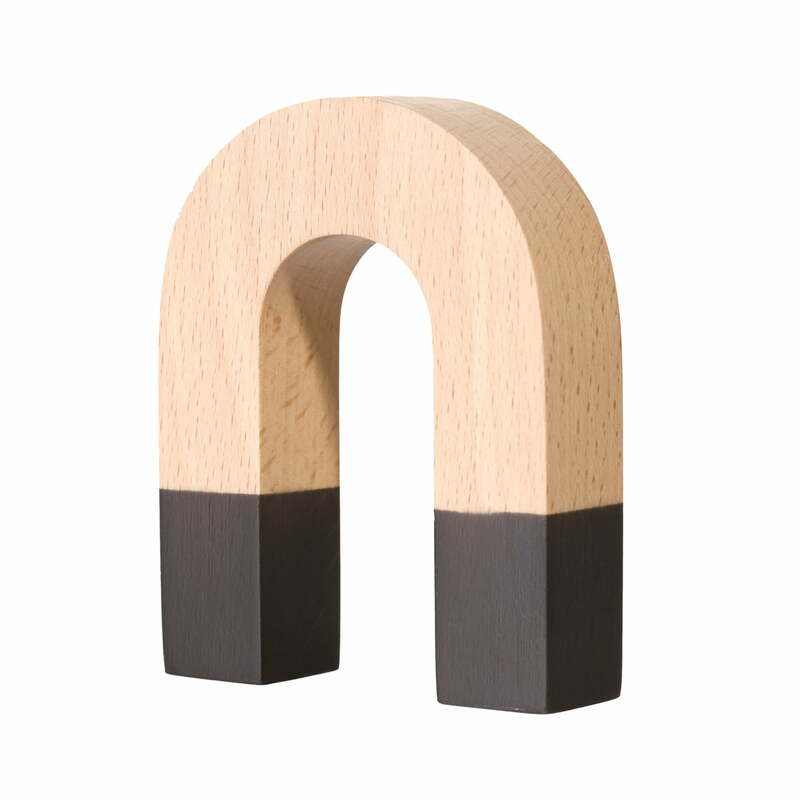 The magnetic ends of the beech wood horseshoe are available in different colours: black, blue, orange, green, yellow, white. The different editions are easily combinable. 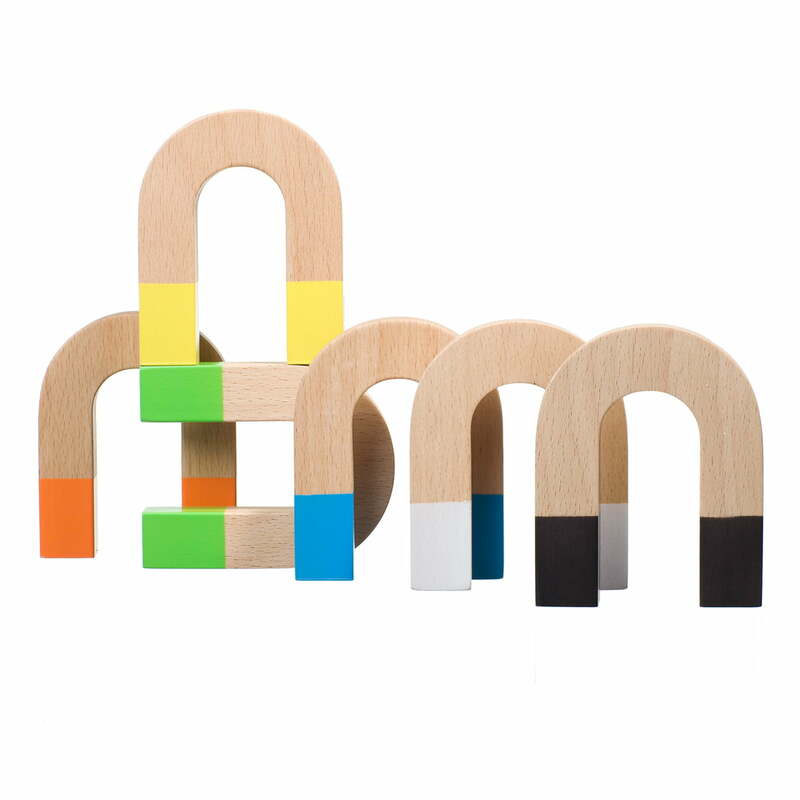 The Horseshoe Magnet by Areaware is made of beech wood, with the ends having different colours. The different colours can be combined with each other as desired. 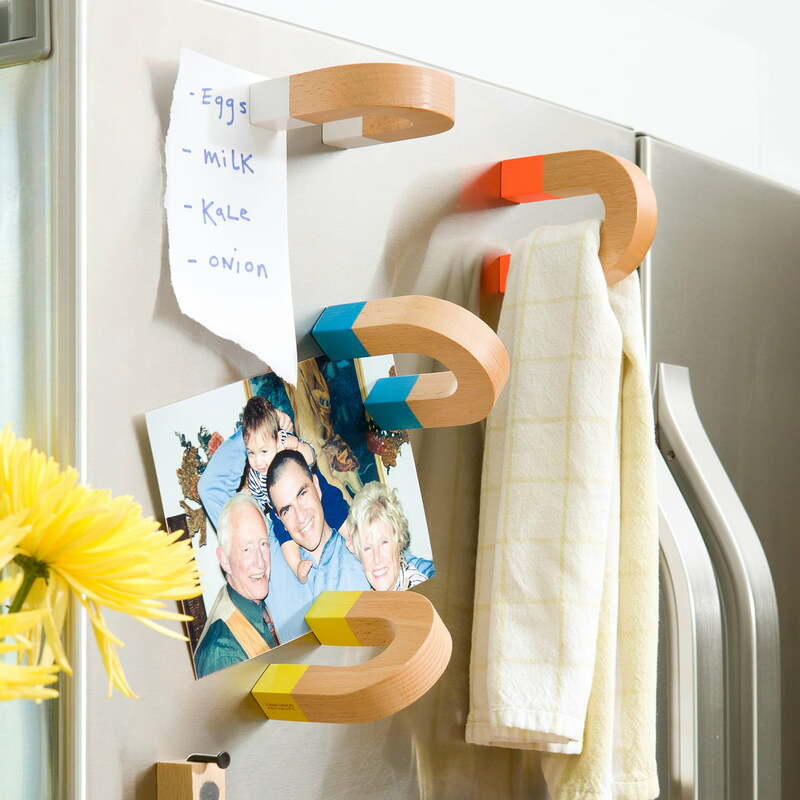 The Horseshoe Magnet by Areaware has outstanding usage potential, for holding photos, shopping lists, tea towels and other small items on your fridge.